To view Active Listings in West Long Branch click here West Long Branch Real Estate. In 1908, the people of the West Long Branch section of Eatontown became unhappy with paying taxes to Eatontown and not getting what they thought was a fair return. A request was made that the West Long Branch section be separated from Eatontown. The Township of Eatontown strongly resisted since there were several large estates in the West Long Branch section that were a source of considerable taxes. The Freeholders authorized an election and on May 5, 1908 the election was held in West Long Branch. The results as recorded in the Advertiser, an Eatontown newspaper, were: 163 for and 73 against separation. On Tuesday, June 16, 1908, the West Long Branch section of Eatontown Township became the independent Borough of West Long Branch. West Long Branch is located seventy miles South of New York City, two miles from the New Jersey Shore, and sixty miles North of Atlantic City. West Long Branch has a population of 8,258. Monmouth University is a private undergraduate and graduate school located in town. Within Monmouth University are two national historic sites: Woodrow Wilson Hall and the Guggenheim Library. 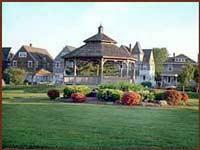 West Long Branch is proximate to many other historical communities, public parks, and recreation sites. West Long Branch real estate boasts beautiful luxury homes and condominiums. If you are interested in finding properties for sale in West Long Branch we are here to help. Whether you are a first time home buyer or an investor, having a qualified West Long Branch real estate specialist will be a great asset in making your home buying experience more enjoyable. For those thinking about placing your West Long Branch home for sale, you can trust that you will receive help pricing and effectively marketing your home. Having a seasoned consultant available to you is beneficial if you are considering investing in West Long Branch real estate. If you are thinking about purchasing West Long Branch real estate call Carol to see what makes West Long Branch not only a great investment, but a wonderful place to live. 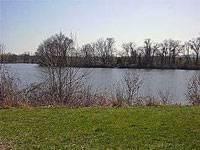 A unique opportunity to own West Long Branch real estate is here in beautiful Monmouth County. I invite you to visit the West Long Branch website. 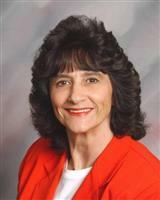 If you would like more information about buying or selling West Long Branch Real Estate please contact Carol Mazza at 732-768-9404.